Identifying and understanding every touch point of a consumer’s experience – looking at where consumers go, why, what they look for. We use this to create engaging, meaningful and impactful experiences that seamlessly integrate into consumers’ lives. Levelwear is a premium global sport and lifestyle apparel brand, that holds licensing partnerships with some of the top global brands, including the NHL and NHLPA, NBA, and NBPA, CFL, 75 US Colleges, Hockey Canada, and various soccer properties. 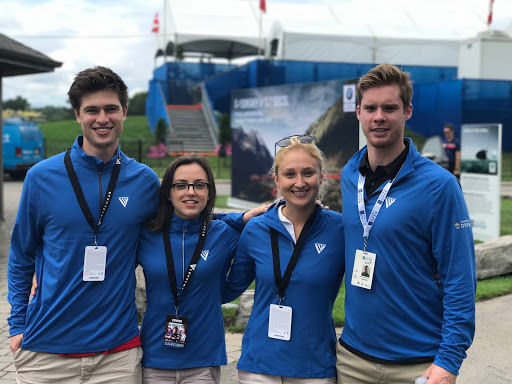 Worked with Levelwear to impactfully activate across Golf’s Canadian Opens (RBC Canadian Open, CP Women’s Open, and Pacific Links Championship) – connecting with consumers through strategic physical and social activations as well as collaborating to execute a one-of-a-kind retail and hospitality experience.